Why haven't we heard from any extraterrestrials yet? In 1960, my friend Frank Drake launched Project Ozma, the first modern scientific search for extraterrestrial intelligence (SETI). 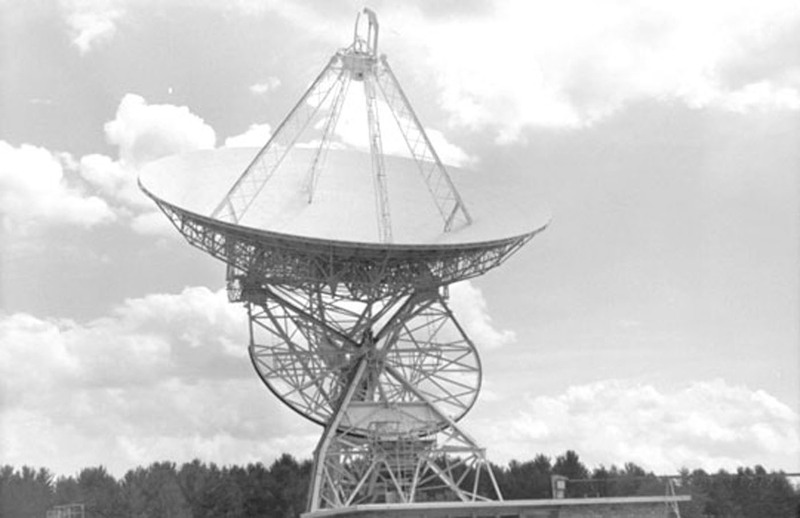 Frank used the National Radio Astronomy Observatory (image above) in Green Bank, West Virginia to listen for interstellar radio transmissions that might be a signature of ETs. Nearly 60 years and countless scans later, we still haven't heard anything. Why? Space is big. Massive. In a 2010 paper, the SETI Institute's Jill Tarter and her colleagues described their ongoing calculations of a “cosmic haystack" where we're searching for an extraterrestrial needle. "If you build a mathematical model, the amount of searching that we've done in 50 years (as of 2008) is equivalent to scooping one 8-ounce glass out of the Earth's ocean, looking and seeing if you caught a fish," Tarter told NPR. "No, no fish in that glass? Well, I don't think you're going to conclude that there are no fish in the ocean. You just haven't searched very well yet. That's where we are." Now, Penn State astronomer Jason Wright and colleagues have refined the "cosmic haystack" model to include additional factors involving likely frequencies and bandwidth along with the latest large SETI searches. Even still, they "conclude that the fraction of it searched to date is also very small: similar to the ratio of the volume of a large hot tub or small swimming pool to that of the Earth's ocean." All that is to say that we won't hear anything unless we keep listening.